Nationwide, landscape irrigation is estimated to account for nearly one-third of all residential water use, totaling nearly 9 billion gallons per day (https://www3.epa.gov/watersense/pubs/outdoor.html). 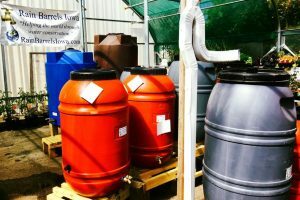 We have a solution to save you water and money- rainwater harvesting. 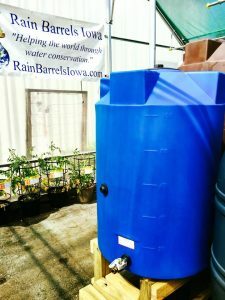 Stop in to the greenhouse at our Clear Lake store to check out our new full line of rain harvesting supplies. 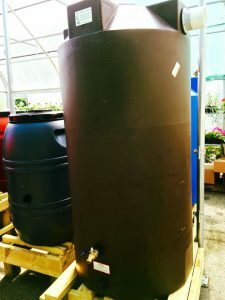 We have a variety of rain barrels to meet your needs. The large harvesting tank holds 150 gallons of water. The potable water tanks are great for emergencies. They hold 100 gallons of water.